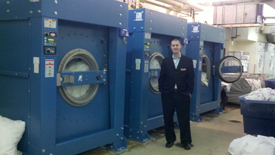 Leslie, the General Manager at Courtyard by Marriott in Salina, KS, called us to service her Milnor washer. She normally calls a local company, but they weren’t able to get there quickly enough. Her boss told her to call Loomis Bros. in Kansas City. She is very happy she did. She said the young woman who took her information was very friendly. She said our dispatcher, Shara, “is the coolest chick ever”, and Brandon, our service tech, “is fantastic”! Apparently we arrived a day before we originally were scheduled. Brandon was able to diagnose her machine and get it back up and running that day. Leslie could not say enough great things about her experience and felt like she should let us know what a professional and well-trained team of people we have. Way to make us look good team! Just want to leave a note to thank your guys for their efforts. At the Ritz-Carlton, we are conditioned to do whatever it takes to take care of guests. At the risk of sounding a little biased, we typically do not see other companies that follow the same philosophy. We all encounter problems, it’s just part of the business we are in, it’s the way we respond to these problems that separate the so-so companies, to those that you invite back. I personally thanked them for their efforts, but wanted to let you know that you have a couple of “keepers” there. 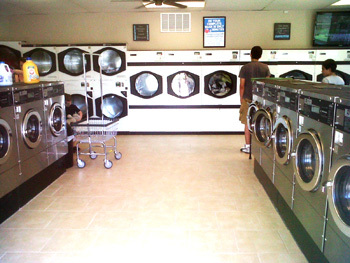 "Wanted to touch base and let you know Troy came and fixed our washer and that I’m sure he is a valued employee. I know this because he is very knowledgeable and courteous and provided excellent customer service and I’m sure you’ve heard that before. Believe it . It’s true." Pat Moffat from Ram Leather Care called Vicky Anderson (Parts & Service Manager) to complement Loomis Brothers on Chris Sellers' (Service Technician) outstanding service at his laundry. He said that Chris is a shining example and a great asset to Loomis Brothers. Chris is always very professional and works hard to make sure that they are satisfied. Thank you so much for the extra effort, it does not go un-noticed and we truly appreciate your dedication! Keep up the good work! "Thanks for your help. Promised you flowers." Gary, our local Service Technician was able to get Al's machine running on the first visit! Great job Gary and Kelly! "Mr. Loomis, Just want to send you a note of appreciation for one of your Service Techs. 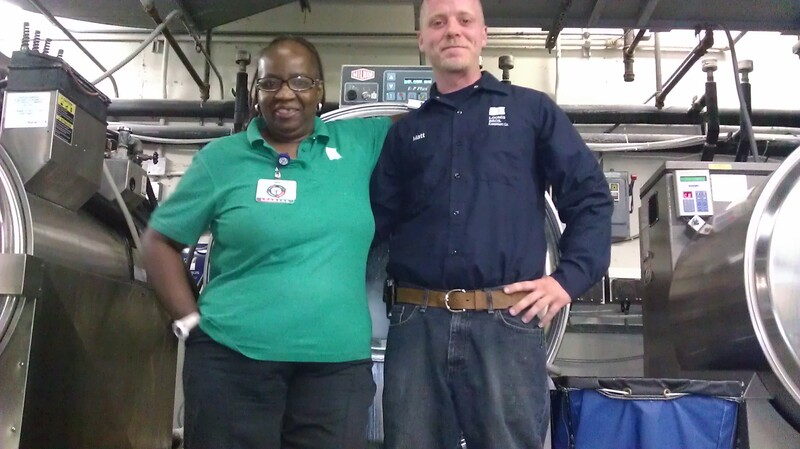 On 4/3/13, Chris was servicing Washer #2 (new washer), when Washer #4 when down. With our patient census high, 2 washers down, and no in-house service techs (we have 2 Techs, but they were both at Milnor attending classes) makes it very difficult to keep up with demand. Chris stayed late, made sure Washer #2 was working then made the repairs to Washer #4. We very much appreciate his willingness to stay after hours to get us back on line. I'm sure he had a long day and wanted to head home, but he took care of our needs. Thank you for you putting the customer first." Let me start by simply stating that whatever Matt Lamon's compensation is, it isn't enough! I can honestly say that Matt is the reason why I ultimately decided to choose Loomis Bros. When I started this process, I didn't have a loyalty to any brand of machines; however it was Matt who made the decision easy. I had met with 3 other distributors, and by far, Matt was the most knowledgeable, enthusiastic, and helpful! To me, these kinds of ethics are rare, and should be commended! Even after the sale, Matt has been terrific, from helping me with my open house, to making sure my machines run as advertised. Overall, my experience with Loomis Bros., and more specifically Matt Lamons has been great! 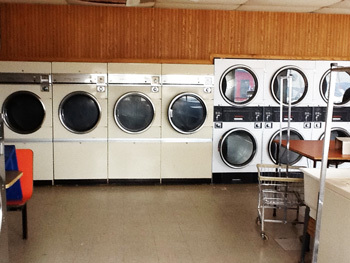 I would recommend your company to anyone looking to purchase laundry equipment, or considering starting their own Laundromat." 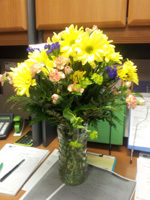 "Loomis has been with Lutheran Senior Services for many years and they have given us the best! I have enjoyed working with Loomis Brothers and will continue to give them great remarks." "First, I want to tell you what a pleasure it has been working with you and Katy and the rest of the staff at Loomis Bros. Equipment. Great customer service sometimes seems to be a fading courtesy so it is very refreshing to work with you and your company who are knowledgeable and patient with me as a new business owner! We look forward to doing business with you in the future." Thanks for all your work on the recent commercial washer replacement project. 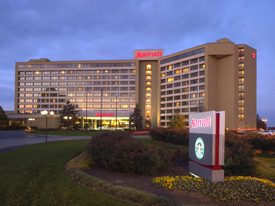 As you know all too well, the hotel's been looking forward to this for quite some time and greatly appreciates your entire team's attention to detail and professionalism. From the sales phase to the start-up process, Loomis Brothers met all our expectations along the way and looks forward to partnering with you in the future." "John and Buddy were exceptionally helpful. They went above and beyond, working very late doing a superior job with the installation. Gary was also a great asset. He has been wonderful to work with during the install and subsequent service calls. This team definitely rates 5 stars!!!!" "I can't praise Joby Wilhauck enough. He is great!! Very knowledgeable, courteous, and efficient."